The theatre has 373 upholstered seats, 8 wheelchair positions and room for an additional ﻿﻿25 seats (if needed) for a maximum capacity of 406 audience members. The fixed seating area has 11 rows of seats arranged "continental style" with extra space between rows and wide aisles on either side. There is not a bad seat in the house! The lobby is a beautiful area with an elegant sweeping staircase and windows all around looking out on the town and landscape of the South Okanagan. 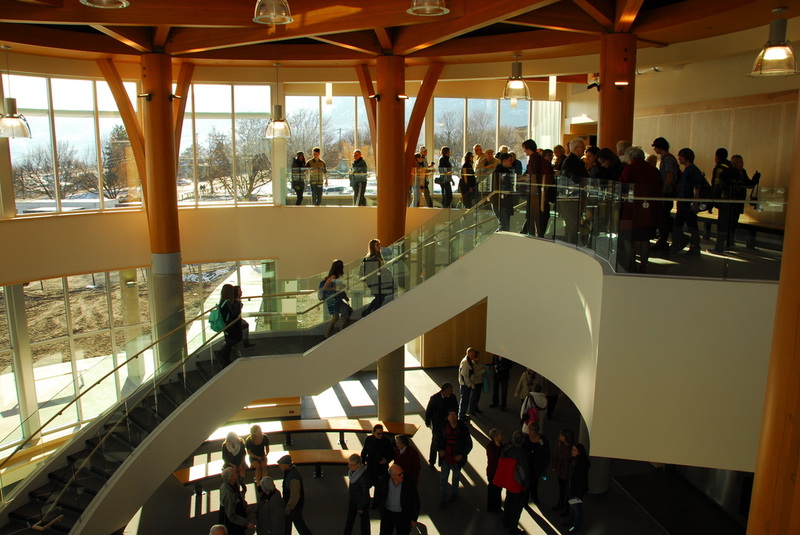 The lobby has built in seating areas for the audience and ample washrooms for even a Sold Out event. A secure box office is available in the theatre lobby. The lobby has a fully equipped concession area with lockable storage, sinks, fridges and (appropriately for "wine country") a large wine cooler. The theatre is not yet operating the concession, but renters are free to set up their own refreshments and obtain special licenses to serve alcoholic beverages. The Theatre plans to assume the licensing and running of the concession in the coming year. 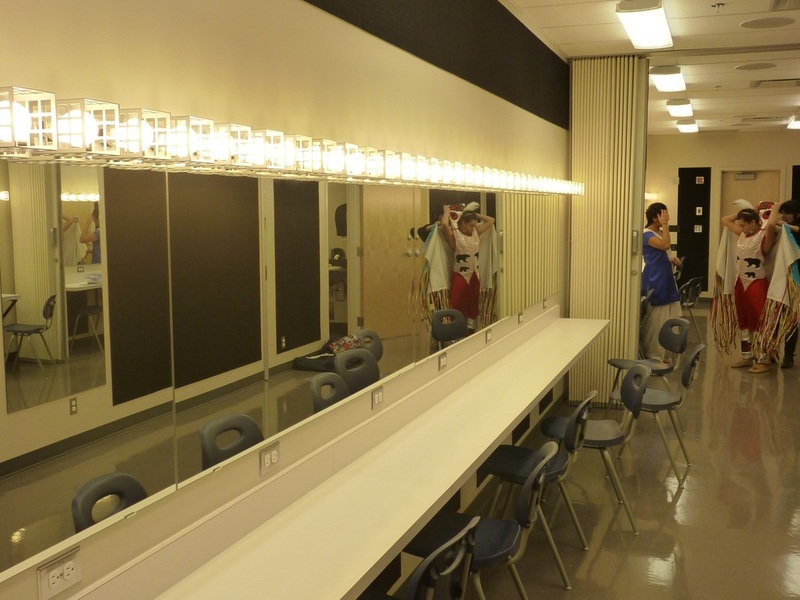 The artists' change room fits up to ﻿18 ﻿ comfortably with ample mirrors, lights and counter space. There are four washrooms (sorry no showers) and space for rolling costume racks. The changing area can be used as one long room or, with the installed accordion doors, be divided into two separate areas. The Frank Venables Theatre is available for rental by touring artists, performing ensembles and concert promoters from within the Okanagan and around the globe. Rental rates are available for commercial presentations, not-for-profits, local groups and a special rate is available for activities for children and youth.